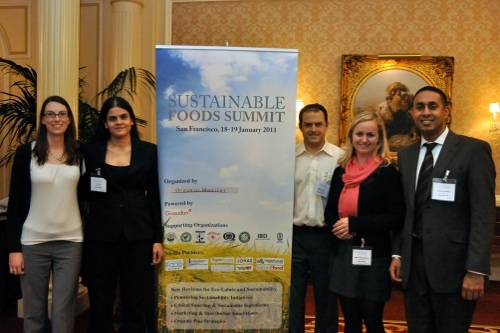 (London) January 28, 2011 – The North American edition of the Sustainable Foods Summit (www.sustainablefoodssummit.com) drew to a successful close last week, with many participants calling for greater transparency and accountability from the food industry. 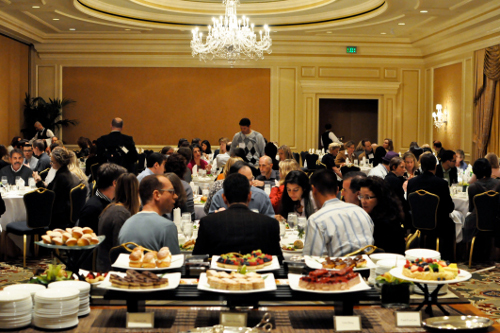 Organized by Organic Monitor, the summit brought together about 200 executives at theRitz-Carlton in San Francisco on 18-19th January 2011. 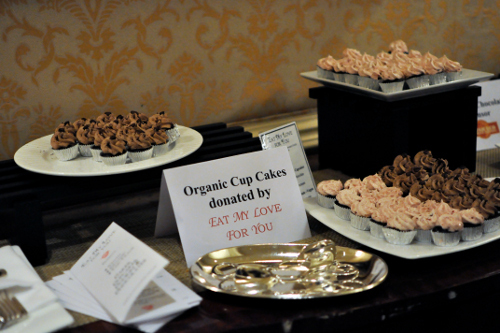 New horizons for eco-labels and sustainability were the focal theme of the 2-day summit.The summit explored the evolution of eco-labels – such as Organic, Fair Trade andRainforest Alliance – in an increasingly global food industry. The advent of international supply chains is leading many consumers to become disconnected from agriculture andfood production methods. Scott Exo, executive director of Food Alliance, echoed the general sentiment at the summit, calling for the ‘de-commoditization’ of food products byproviding greater traceability to consumers. Seth Goldman, co-founder and president of Honest Tea, opened the summit with his keynote on the triple bottom line. By using the example of tea plantations in China, he showed how modernization does not always contribute to sustainability. Since its launchin 1999, Honest Tea has become one of the fastest growing ethical beverage brands in the US. The first session explored sustainability initiatives in the food industry, with many speakers raising the question, ‘how do you measure sustainability?’ The use of metrics in sustainability performance was explored by Joseph McIntyre from AG InnovationNetwork. 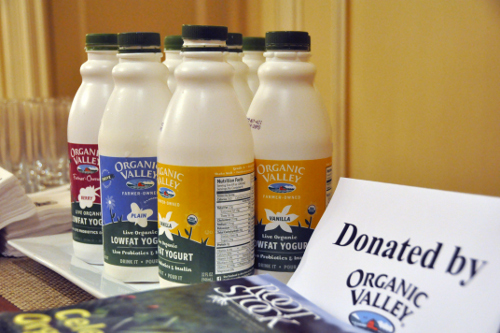 Albert Straus, founder of the Straus Family Creamery, shared his company’sapproaches to measuring the carbon footprint of its dairy operations. The importance of offsetting carbon emission was also highlighted by Theresa Marquez from OrganicValley who showed the role of organic agriculture in carbon sequestering. Sustainability in foodservice was covered by Bon Appetit Management Company, which is sourcing locally from small farmers. Also in the morning session, Kenneth Ross from Global ID discussed future trends in eco-labels. His paper stressed the importance of IT in combating food fraud and providing traceability to consumers. Convergence of mobile and internet technologies is expected to allow consumers to get ecological and social footprints of their food products. The session ended with a lively debate on sustainability indicators and measurement.The second session honed in on ethical sourcing and sustainable ingredients. The opening papers examined the role of Rainforest Alliance and Fair Trade standards in lowering social and ecological impacts of food products. Nasser Abufara from Canaan Fairtrade explained how social enterprise can improve lives of marginalized growers.Using case studies of three of the most traded food commodities, sustainable sourcing was discussed by Green Mountain Coffee Roasters, Theo Chocolate and Givaudan. Marketing & distribution innovations were the subject of the third summit session. Leading retailers – Fresh & Easy and Safeway – shared some of their ethical trading and marketing initiatives. Alex Petrov from Safeway showed how its O Organics label had transcended the boundaries of a private label without cannibalizing manufacturer brands.Fresh & Easy, a subsidiary of the global retailer Tesco, explained how it was raising the bar by implementing new ethical codes of conduct. Ellen W. Feeney from Whitewave Foods shared her experiences in developing brands to meet consumers’ needs for healthy and ecological products with the ‘planetary health’ initiative. The last session of the summit – organic plus strategies – began with an update on theglobal organic products market. Amarjit Sahota, President of Organic Monitor, showed how pioneering organic food companies were integrating sustainability into their corporate ethos and how some eco-labels were converging. Proceeding papers gave case studies of such developments. Equal Exchange stated how companies could intertwine organic and fair trade practices, whilst the Brazilian company Native Organic Products shared its raft of sustainability actions. 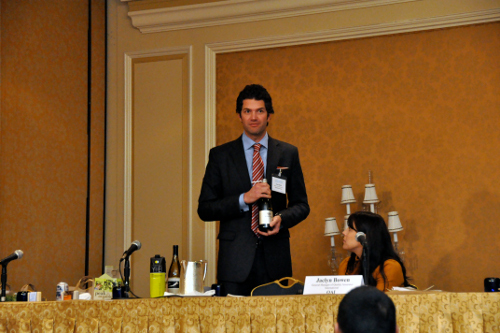 Using wine as a case study, the potential of biodynamic foods was explored by Demeter USA and Fetzer-Bonterra Vineyards. Chad Smith from Earthbound Farms closed the session with an interactive discussion onecological packaging for sustainable food products.The third edition of the executive summit raised many questions about sustainability inthe food industry: Will an eco-label ever fully represent sustainability? What ecological and social parameters are most important in such a standard? What are the most efficient methods to measure sustainability? Where is the line between green marketing and greenwashing? How can companies become more sustainable in distribution andpackaging?